We see from God’s Word that lost sinners are offered forgiveness of all sins (past, present, and future) and eternal life as a free gift of God’s grace by virtue of Christ’s fully accomplished redemptive work upon the cross and His bodily resurrection. To receive these priceless gifts, one need only believe the gospel: that one is a sinner deserving God’s judgment and unable by self-effort, religious ritual, or any other means to earn or merit salvation even in part; and that Christ paid the full debt that God’s justice demands for man’s sin. Of course, one must believe the gospel not merely as historic fact but to the extent of placing one’s faith completely in the Lord Jesus Christ as personal Savior for eternity. Christ directed His disciples to preach the good news of the gospel to everyone everywhere. This command to His original followers has become known as the “Great Commission.” It is stated in two ways: “Go ye into all the world, and preach the gospel” (Mark 16:15); and “make disciples” (Matthew 28:19-20 NASB). Those who preach the gospel are to disciple those who believe it. Born again by God’s Spirit into His family (John 3:3-5; 1 John 3:2), converts begin a new life as Christ’s followers, eager to learn of Him and to obey the One to whom they now owe an infinite debt of gratitude. Christ warned that some would seem to receive the gospel with great enthusiasm only to become entangled in the world, discouraged, and disillusioned. They would eventually turn back from following Him. Many maintain a façade of Christianity without inward reality, deceiving perhaps even themselves. Never fully convinced in their hearts, they are unwilling nevertheless to admit their unbelief. “Examine yourselves,” Paul warned, “whether ye be in the faith” (2 Corinthians 13:5). Of those who are genuine, all too few are able to give a reason for the hope that is in them (1 Peter 3:15). How many Christians are able to convincingly persuade an atheist, Buddhist, Hindu, Muslim, or New Ager, with overwhelming evidence and sound reason from Scripture? God’s Word is the sword of the Spirit, but few know it well enough to quell their own doubts, much less to convert others. One of today’s greatest needs is for solid Bible teaching that produces disciples who are able to “earnestly contend for the faith once [for all] delivered to the saints” (Jude 3). That faith for which we must contend was delivered by Christ to the original twelve disciples, who were then to teach those whom they evangelized “to observe all things” that Christ had commanded them. Through succeeding generations (beginning with the original disciples and those whom they brought to faith in Christ and discipled) of those who have been won to Him and who have in turn, in obedience to their Lord, discipled others, this unbroken chain of command comes down to us in our time. Not some special priest or clergy class, but each Christian today, like those who have passed before, is a successor to the apostles. Think of what that means! At the heart of Christ’s call to discipleship is the daily application of His cross in the believer’s life. Yet one seldom hears in evangelical circles Christ’s definitive declaration: “And whosoever doth not bear his cross, and come after me...[and] forsaketh not all that he hath, he cannot be my disciple” (Luke 14:27-33). 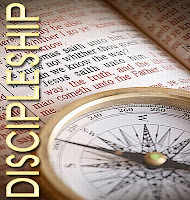 The call to discipleship must be honestly faced. Through the cross we die to self and begin to live to our Lord in resurrection power (Galatians 2:20). Indeed, Christ’s death on the cross would have been a hollow act if it did not bring forth new life, for now and for eternity. Resurrection life reckons the old life dead and makes no provision for the flesh (Romans 6:4,11; 13:14). Instead of the popular self-esteem, God calls us to deny self, to love truth and hate folly, to please God instead of others or ourselves - no matter what the cost in this life. Never mind social pressures from what others think, say, or do. We must be fully persuaded that what God thinks and what He will say when we appear before Him one day is all that matters. As Jim Elliot, one of the five martyrs killed in Ecuador in 1956, said when as a young man he chose the mission field over more popular careers, “He is no fool who gives up what he cannot keep to gain what he cannot lose.” That choice is only logical if one believes that time is short and eternity is endless. Such commitment brings heavenly joy, peace, and a fulfillment that nothing earth offers can rival.